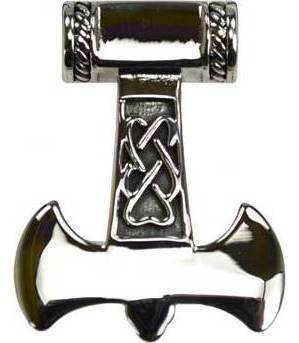 A simple but powerful form of Thor's Hammer displaying a more broad axe shaped head with a simple Celtic knot on the handle and ropes binding the haft. Has Cord. Titanium.